Coming back to from Houston 5K & 10K! Isang U.S. Major ang na-stationed sa isolated na Kampo sa Iraq. Kinabukasan, habang may ispection, napansin ng Major ang isang camel na nakatali sa likuran ng Barracks. Nagtanong siya sa Sergeant kung bakit may alagang camel sa Kampo. Makalipas ang anim na buwan, hindi na makatiis ang Major kaya't tinawag ang Sarhento. Major: Dalhin mo dito sa tent ang camel. Walang nagawa ang Sarhento kaya't dinala ang camel sa loob ng tent. Makalipas ang 15 minutes, lumabas ang Major na nakangiti. Major: Sergeant, ganito ba ang ginagawa ng mga Troops pag nalulungkot sila? Sergeant: Hindi po Sir, sinasakyan nila ang camel papunta sa bayan para makahanap ng mga babae! The reprint please indicate comes from :?Spirit Thought Funny Jokes--Most greatly most entire funny joke collection !? My kids in Mexico were invited to a competition of yours in December. Can you provide details/info please? Just wanted to say "way to go" at the National Championships this year. Y'all were AWESOME! It was great to meet all of the particpants this past summer and we look forward to meeting more racewalkers at the end of December. Go Texas!!!!!!! Hi Racing Turtles!! You are the best!! Everyone had a great season this past year. I look forward to coaching with Coach Jaime, because I know our team will try their best at all of the racewalking competitions. Keep up the hard work. Nationals 2006 here we come. Watch out! We miss you Adrian and Chris. Coach Bob, I hope you are doing well and we will see you soon.Take care. Goooo...Turtles!!!! 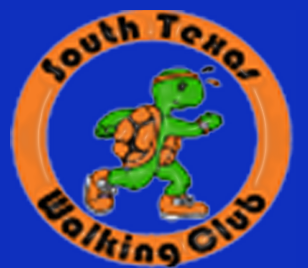 Congratulations Texas Walkers in all you do! Good luck to all of you!